I love knitting in cables- I love how I never get bored doing it, and the gorgeous patterns and shapes cables can create. I have always wanted to learn to crochet in cables but could never understand the patterns. This is a first for me really as I am pretty good at dissecting patterns but I just could not 'get' the concept of how they worked in crochet. So, a couple of days ago with a spare ten minutes I plonked myself down in front of the computer armed with yarn and hook and browsed some YouTube videos on how to crochet cables. After filtering out a few naff ones I came across a couple of gooduns. 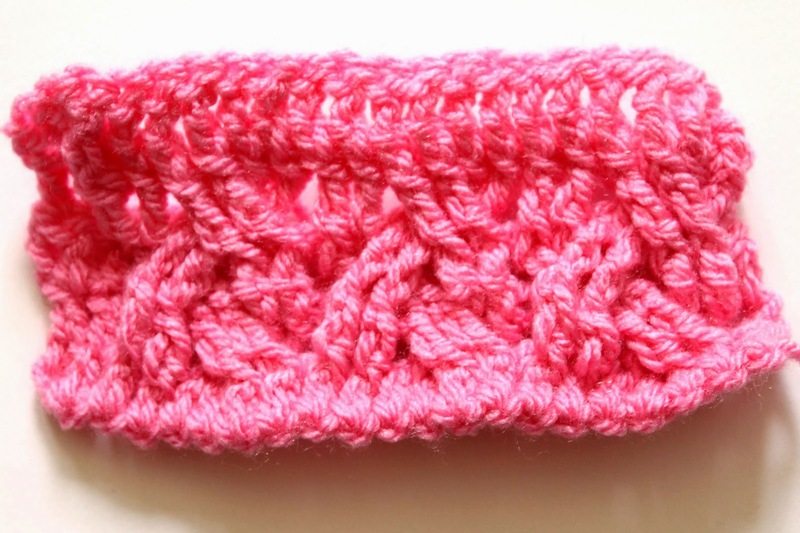 This video by Sedruola Maruska of Yarn Obsession was great at teaching me the basic cable stitch. 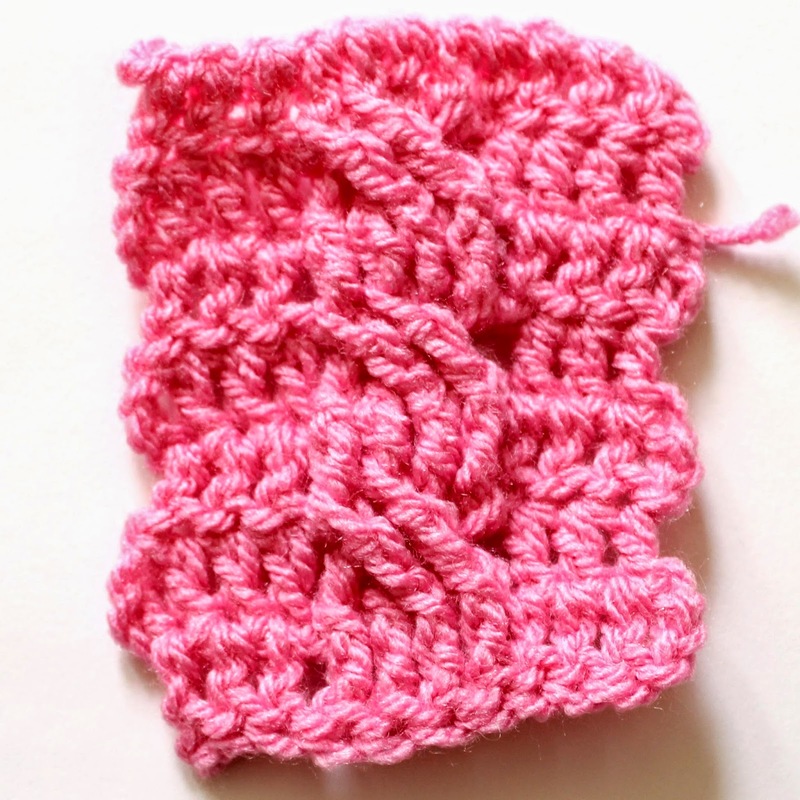 It is in American terms however so the double crochet she talks about is a UK treble and the treble she uses is a UK double-treble. I really likes the effect but I do find it a bit 'gappy'. 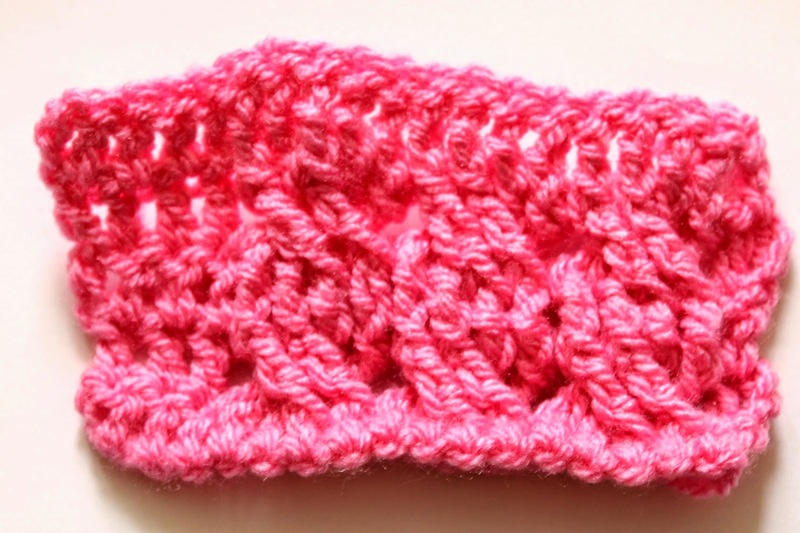 Maybe it would be better using chunky yarn (this was aran). I will have to try it out! I also tried running 3 cables next to each other but if you stretch it out a bit you are left with massive gaps between the cables. This may be ok depending on the project though. Please note this video also uses US crochet terminology. And here you go- my attempt! This cabling was more complex but once you get the hang of it you are away! I love this too......really not sure which I prefer yet! I really must apologise for the colour of the yarn- I just grabbed whatever was nearest- I didn't realise it would be the least photogenic yarn ever! There are loads of different type of crochet cables (or so I can gather from YouTube) am I am looking forward to resting out some more. I already have a couple of design ideas whirling around my head using cables, and from what I can see the possibilities are endless!